There is entirely no doubt that the history of politics in Greece is vibrant. The likes of Alcibiades crown the long list of the great achievers in politics. He is considered one of the most significant influencers of politics in Ancient Greece for his selflessness and commitment to creating a mark that would be of help to the great Greek community. The story of Alcibiades is coupled with surprising facts, some of which cannot be seen in the Modern Greek leadership. It is with the help of Alcibiades and other significant political personalities that the precedence of politics in Greece was created. His legacy lives to date, with even the modern leaders in the country seeking to emulate the style of leadership that Alcibiades exhibited. Alcibiades was a politician, statesman, and an orator. He executed all the tasks mentioned above with utmost boldness and passion, and that is why his name is sung even today. Greece was blessed with a gift of a son in the name of Alcibiades in the 450 BC. At this point, no one had the idea that this son of the soil would become so influential to the extent of ruling masses in the country. To the residents of the place where Alcibiades was born, he was just another child with no signs of becoming a great ruler. 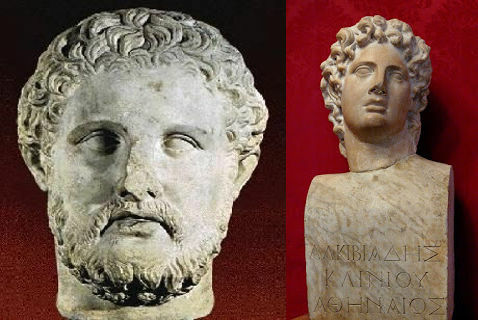 In essence, Alcibiades' parents were influential in the political front. His father, Cleinians, was highly involved in the Persian war. Firstly as a fighter and secondly as the one who personally subsidized the cost of the Trireme. Alcibiades’ mother, on the other hand, was from a highly influential family since she was the daughter of Megacles. It is for this reason that Alcibiades was privileged to grow under the watch of parents who were so committed to creating an influence on the political landscape of Greece. It was from the same lineage that the history of Cleisthenes was traced. This was a reformer who was highly recognized in Greece in the 6th century. The influence that Alcibiades got from childhood was bound to tune his mind and aspirations to becoming a political leader some day. This was a goal that was so sure to be achieved. Just like most children growing under political influence, Alcibiades first indicated immense interest in education. It was through the training that he got that he developed his knowledge and capacity to lead. He did not come to the public limelight until he had completed his primary and secondary education. Sources indicate that his passion for politics was evident in school since he was at one time appointed as a students' leader. His parents were almost sure that they were nurturing him to assume political duties once he becomes of age. The parents worked collectively to ensure that their dream of seeing Alcibiades in political leadership came forth. Soon after completion of his studies, Alcibiades fell in love with the beautiful and charming Hipparete, whom he later married. The lady was the daughter of Hiponicus one of the great tycoons in Athens. 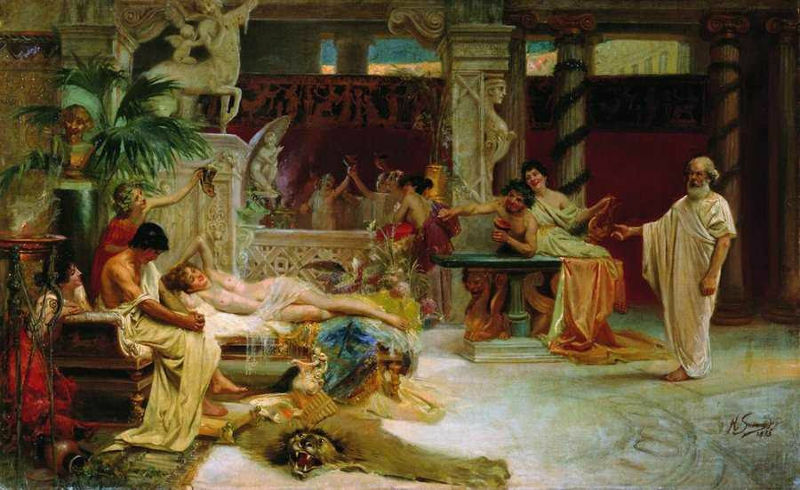 Alcibiades was privileged to get a fat dowry from the wife, hence adding to his already existing fortune. Surprisingly, there was a time when the two lovebirds wanted to undergo a court procedure filing for divorce. Hipparete was in deep love with Alcibiades, but some issues transpired between the two hence prompting the need for a separation. Fortunately, the plans would not hold. The idea to engage in a divorce process backfired at the final stages, hence allowing the two lovebirds to live together for the rest of their lives. 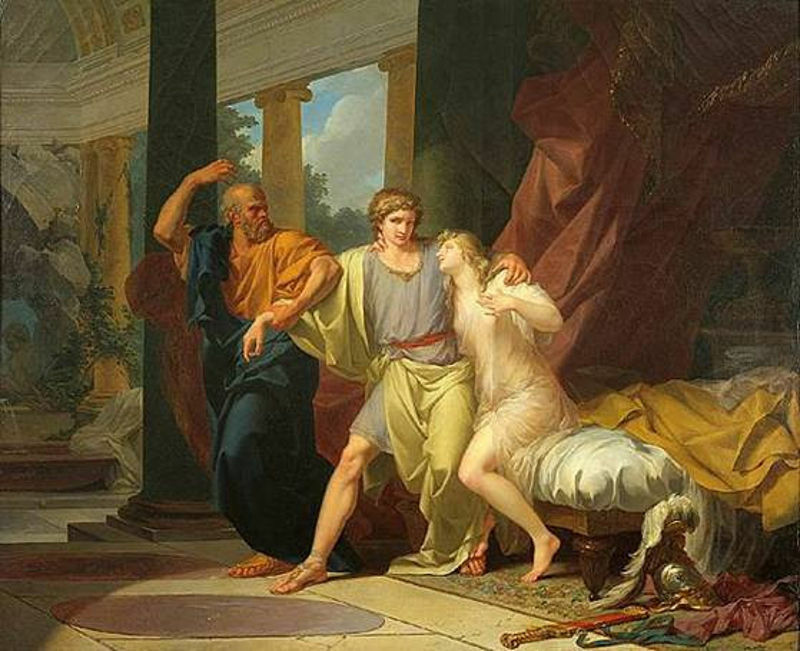 Alcibiades and Hipparete were finally blessed with a daughter and a son. Alcibiades named the son ‘Alcibiades The Younger', as a way of keeping his name alive and his legacy intact. 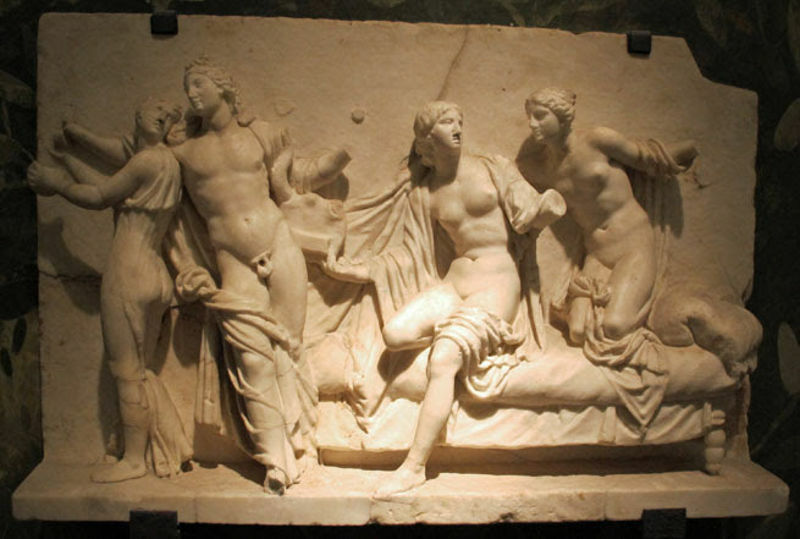 The truth is that Alcibiades was the kind of man who could give women Goosebumps due to his attractive physique. He was a man to die for. This explains why Hipparete was so interested in falling in love with him despite being from a wealthier family as compared to that of Alcibiades. They say love is a force of nature, too complicated to understand. Unlike other politicians who opt to remain private until they are past their youth, Alcibiades did not wait for that. He was committed to cultivating for his prominence when he was in his years of youth. 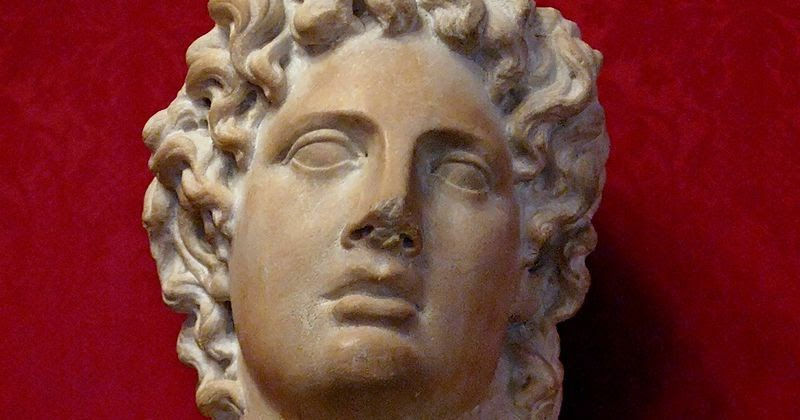 The first point of fame that Alcibiades enjoyed was when he aggressively advocated for Athenian action following a peace treaty is known as Peace for Nicias. This treaty was signed after a fierce battle between Sparta and Athens in the course of the Peloponnesian War. None of the involved parties gained an advantage during the war, and that was the core reason behind the signing of this treaty. As the aggressive leader he was, Alcibiades was not happy with the signing of the agreement in his absentia. Remember he was already a leader by then. It was deemed necessary to have Alcibiades out of the signing since he was in his youthful years. As soon as the treaty was signed, a dispute arose between the two parties. The erudite Alcibiades saw an opportunity in the conflict. Sparta was compelled to dispatch ambassadors to Athens to go and speak to the assembly. It was at this point that Alcibiades made use of the opportunity presented to him. He cunningly and secretly went and met with the ambassadors and convinced them to allow him to be the one to talk to the assembly since he had the mighty influencing power in politics. The supposed ambassadors did not hesitate to fall for the suggestion made by Alcibiades. They accepted that Alcibiades would be their mouthpiece in speaking with the assembly. In the process, Alcibiades saw to it that Nicias, one of the leaders who had him out of the treaty signing process, was embarrassed and that Alcibiades' name shone all the way. This was a piece of cake for Alcibiades hence he was able to accomplish just that. The whole process was leeway to his rise in power. He was even at one point appointed the General, hence further fueling his prominence. This was indeed a successful mission. He could not merely sit back and watch his name watered down by leaders who thought that the youth was incapacitated to offer exemplary leadership. Following his unrelenting and obviously committed zeal to acquire power, Alcibiades created more enemies along the way. His rising influence seemed somewhat dominating, hence leaving his competitors with no choice other than fighting Alcibiades' ambitions even if it meant playing dirty. His position as a General was taken from him, and he was forced to flee the country. He spent quite a long time in exile before considerations to restore him as a General came forth. It was Thrasybulus who took the initiative to persuade the troops to vote for the recall of Alcibiades as the General. The persuasion bore fruits, and the troops agreed to heed by the proposal of Thrasybulus. 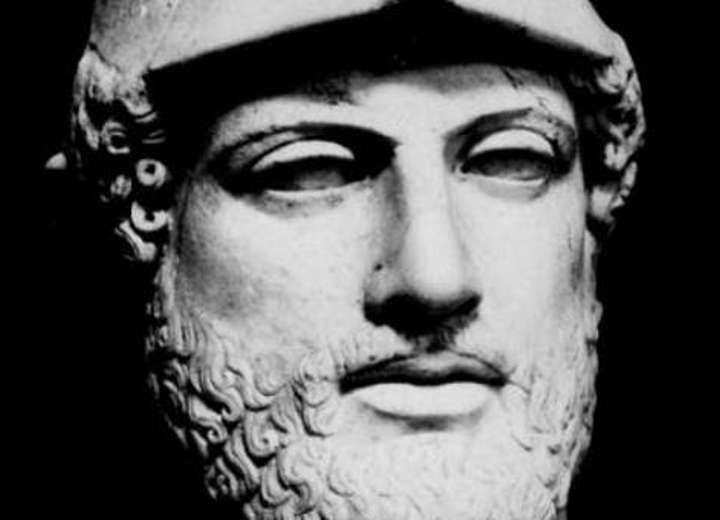 Soon after the support for Alcibiades' recall was communicated through overwhelming voting by the troops, Thrasybulus had to sail to retrieve the long-time Athens General- Alcibiades. He was privileged to find him and bring him back to Samos. It was then that Alcibiades was reinstated as the General. In his pride as a great leader, Alcibiades would have wanted to find a way of reinstatement by himself. However, this never came to pass since it was Thrasybulus who played the entire role of bringing him back to his status as a General. However, it was after his return speech that the troops saw the need to support him in his renewed position as the General. He had now been granted a new task to command the forces while building his name even more. Following his reinstatement as a General, Alcibiades and Thrasybulus joined hands in making an unshakable force, one that was ready to go to any length in securing and gaining power. The duo was successful in some military operations including the tactical land battle that led to the signing of an agreement with Chalcedonians. His unwavering courage in the military was the prime reason behind his great success. He even had to sail to other locations in Greece and outside to communicate his mighty power and influence. His intention was to articulate and create an empire that would keep Athens abreast and above all unshakable. Most of the successes that Alcibiades made were done outside Athens. It was after a chain of success stories that Alcibiades decided to return to Athens, this time as a more powerful and unchallengeable general. He was, however, cautious with his return, considering the damages, injuries, and supposed atrocities that he had committed before in his quest for power. The change in Government structure was also among the prime factors that prompted Alcibiades to return to Athens carefully. He had to watch his back since it is not everyone who was in support of his ideas and aspirations. While some people were delighted to see Alcibiades arrive at the harbor, his enemies, on the other hand, were grieved and even saw him as a bad omen returning to Athens. The assembly, however, knew how abled Alcibiades was and that is why they elected him as the supreme commander of land and sea, despite the wrong atmosphere coming from the enemies. It came as a confirmation that Alcibiades was indeed an unrelenting leader even when his enemies were up with hails of disapproval. Alcibiades had a lot of enemies after him. It was before the Battle of Aegospotami that Alcibiades shed some light in his intelligence that Athens was located in a disadvantaged spot in the war front. This was seen as the first point of compromise on the part of Alcibiades. He advised the troops to move to Sestus where there were war benefits including the sea and the harbor. It was later realized that Alcibiades aimed to place the blame on the troops should they lose and take the honors alone should they win. These points of controversy brought about a bitter environment for Alcibiades hence placing him under threat. Greece would lose a great military general in 404 BC under unfortunate, unclear, and brutal circumstances. 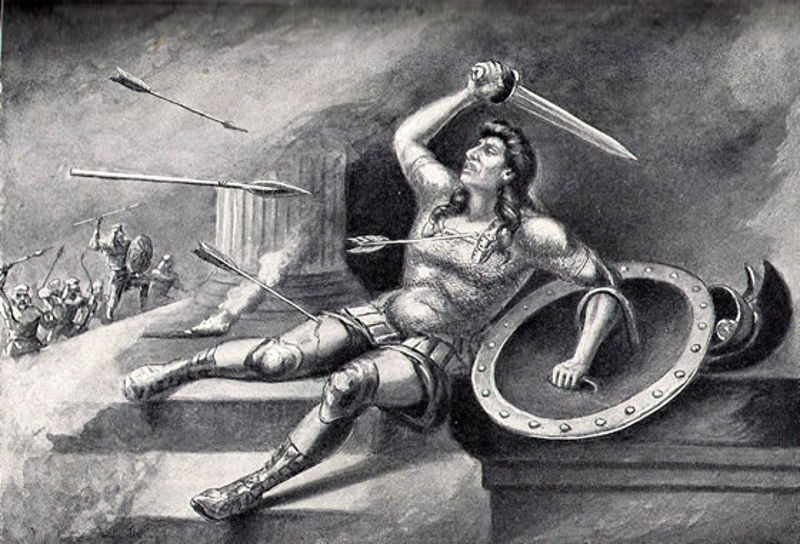 The great hero was murdered in cold blood right after the Battle of Aegospotami. His homestead was surrounded and set up in flames of fire. The unfortunate and wild incident would leave the great Greek Hero surrounded such that he would not escape. He was later served with showers of arrows until he died. 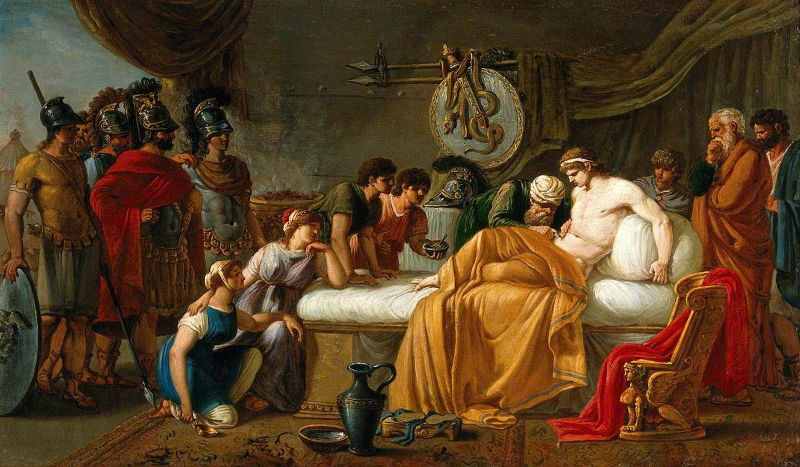 The story of Alcibiades is filled with ups and downs. He lived a life of war and ended the same life in war. While it is true that he had a lot of enemies, there are innumerable Athens residents that were advantaged to have such a leader by their side. He holds a rich legacy amidst the many adverse and detrimental narratives about him. 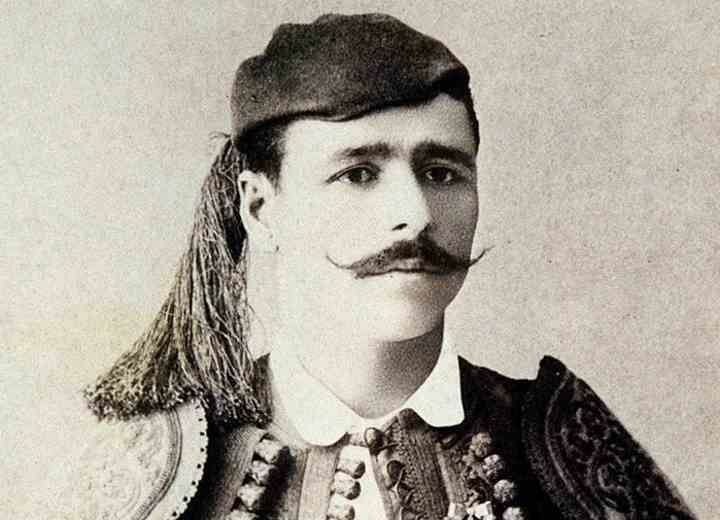 He is indeed a great Greek hero.